№ НИД 21.03 – 8/ 2008 г.  № НИД 21.03 – 14/ 2008 г. № НИД НИ 1-13/2011 г. №НИД НИ 1-24 /2011 г. "New forms of political participation"
"Creation and Development of а Experimental Political Laboratory"
"The Political Science at UNWE Facing the Business"
"EU impact on the dynamics of domestic political crises in Bulgaria"
"Interests and Opportunities for Cooperation between the Southeast European Countries"
"Studying the attitudes of students and building a" system for conducting educational practice in the specialty "Political science"